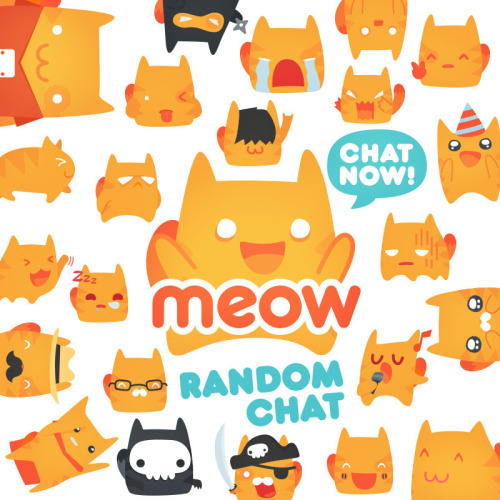 MissKathryn's MissTakes: What is Meow Chat? Apologies if anyone got an invite from me yesterday to join this latest social platform. I got an invite through Facebook to join my friend in this chat app. YAY I thought. Mixing my two favourite things: social media and cats. Perfect. Disclaimer - I'll be sticking with stalking the #catsofinstagram from now on! So, my tea cooked, the house hoovered, and a load of washing in the machine (all after a days work - where's my halo?! ), I sat down to investigate this site. Within 5 minutes I had blocked (and reported) two people in my random generated chat room, and was called an ugly sl*g for asking where the cats were. I'm still wondering where the cats are! There are cat stickers, but Facebook Messenger has cat stickers. In my 10 minutes on there I've left with the opinion 'All marketing, no cats'. If you did see an invite from me, please ignore. I probably won't be using it again!